<Are All Fast Food French Fries the Same? Are Healthy School Lunches Helping? Fat Chance. 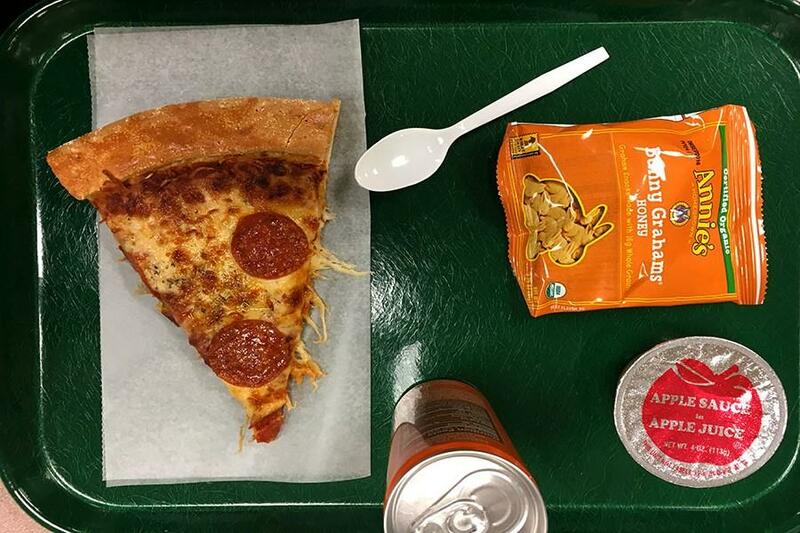 Eating in the cafeteria is one of the aspects of school life that unites most students. Whether you pack a lunch or buy one, the vast majority of the school will pack into the cafeteria over the course of 3 periods. In an age of rampant childhood obesity, it’s no wonder that schools have tried to enforce a stricter dietary policy– but is it really worth it for the students? For the first ladies of the United States, it’s been a time-honored tradition for them to take a large part in shaping public policy and opinion. It began under Dolly Madison, who used her public charm to boost her husband’s popularity. Nancy Reagan took an active part in the war on drugs, campaigning heavily for sobriety. The most extreme example was Bill Clinton letting Hillary Clinton design his (ultimately failed) healthcare reform policy. This tradition has been continued under President Obama. Michelle Obama has taken on the childhood obesity epidemic, called “Let’s Move.” It’s goal was to “solve the challenge of childhood obesity within a generation so that children born today will reach adulthood at a healthy weight.” An admirable goal, of course. There were several methods by which the program would work: encouraging exercise, parents to teach their children about healthy living, and– most importantly for us– reforming the offerings at school lunches. One of the policies of the Lets Move! campaign was offering funding to schools to help them implement a more nutritious lunch system. But, rather than just let them do what they want, the USDA came in, and put draconian dietary restrictions on what schools were allowed to serve: no more whole milk or white bread, and a fruit serving with every meal. Sound familiar? These food options were seen as so unappetizing that many schools ditched the whole thing altogether, and it also proved too expensive for others to maintain the program, even with federal funding. Statistical analyses have shown no appreciable link between Lets Move! and decrease in childhood obesity rates. All in all, it was a $4.5 billion flop. Is it really worth it to have this constantly enforced here at our school? That’s not to say that the school lunches are terrible– they’re not. Fairly decent, even. But still, they’re limited. Sometimes I want something a bit sweeter then a stale gluten-free cookie, y’know? Should it really be up to the school or the federal government what I put in my body? Obviously considering our status as minors, they have every legal right to do it. But we aren’t toddlers. If someone is going to eat unhealthily, they’re going to do it regardless of what the cafeteria is serving. Chipotle isn’t a long drive away. At the end of the day, when the program has shown to be a failure, just let us choose what we can eat. Simple as that. We make bad choices? They’ll be the same choices we would’ve made outside of school.